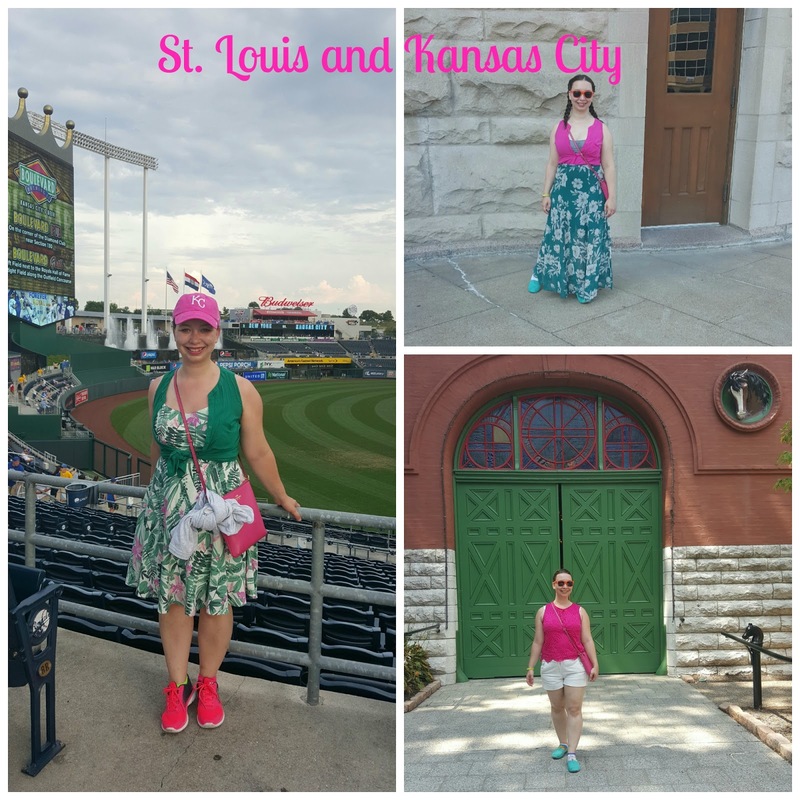 At the end of August my family and I went to Chicago, St. Louis and Kansas City. We flew Spirit so I had to pack everything in an under seat carry-on. So I tried to stick with things that could be mixed together. I'll link to similar things at the end of the post. I did wear my sneakers a lot because my family does a lot of walking. I really like Chicago. We've been there before. We staying in Chinatown this time and went to a White Sox game. Last time in Chicago we saw the Cubs. 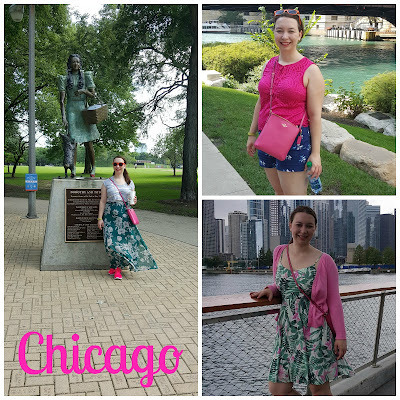 We did a ton of walking around the city. We went to the zoo and Oz park. We did a crime tour I thought it was really interesting. We also went to a speakeasy it was really fun to do because it's a secret entrance. Here's a list of the 18 best in Chicago. We also tried Jeni's Splendid ice cream. I had been wanting to try that ice cream for a while. We spend 2 days in Kansas City. We did a Cardinals game. We also went to the Arch and hung out at the Delmar Loop area. We did the Budweiser tour. I was really excited to see the Clydesdale's. We also went vintage shopping. I got a bracelet and ring from Vintage 101. I wanted to go to Ruth's Vintage but it was closed that day. They are both on Cherokee Street. We had dinner at the Shaved Duck. It was a cool place. We had a short day in Kansas City so we fit a lot of stuff in. As soon as we got there we went to Joe's KC barbecue Shea recommended it to me. I really enjoyed it, I didn't realize it was a famous bbq place until I saw all the news articles on the wall. We went to a Royals game and after wards got ice cream from Glace. Here are Shea's top 5 ice creams in Kansas City. I picked Glace because I really like Christopher Elbow's chocolates so I thought it would be cool to try his ice cream. I really loved it. It was so rich. I think I would have liked another day in Kansas City. It looked like there were some cool shops and tons of barbecue. Sounds like such a fun trip! Love your cute outfits! what a fun adventure! your travel style is so cute! Sounds like such a fun trip! Loving your travel style.